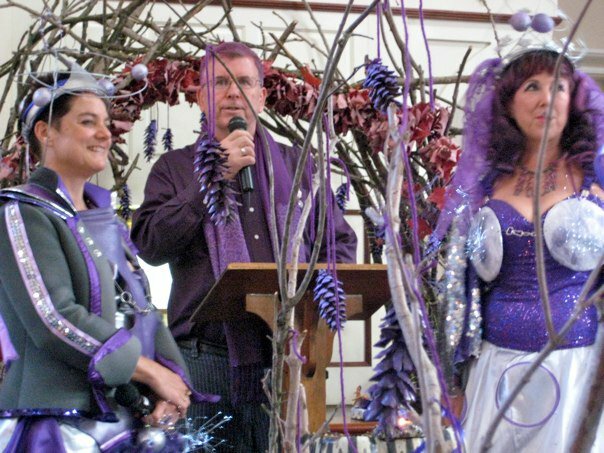 The Purple Wedding to the Appalachian Mountains was produced on 6 November in the Galbreath Chapel at Ohio University. As part of the wedding, I premiered my solo “Re-Membering the Mountains” (which I’ve written about here, and portions of which can be seen in the LAL video). I will be performing iterations of this solo at the Battleground States conference at Bowling Green University the weekend of February 25-26, and again in the OSU Department of Dance Winter Concert March 3-5. Watching this video I am filled with love and ecosexual enthusiasm. I’m hopefully taking a drive down to Athens next weekend, for various reasons, but with an excitement to be situated once again in that landscape, to be ensconced in the mountains that I married that stretch up into Ohio. Enjoy the video. Love the mountains and the earth.